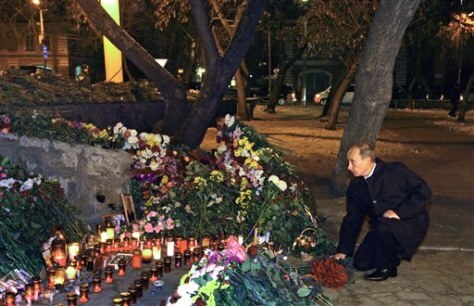 Russian Prime Minister Vladimir Putin visits the site of a deadly nightclub fire in Perm, central Russia on Tuesday. The fire killed 119 people and injured more than 100. Fireworks set a suspended plastic ceiling ablaze, filling the crowded club with thick black smoke.